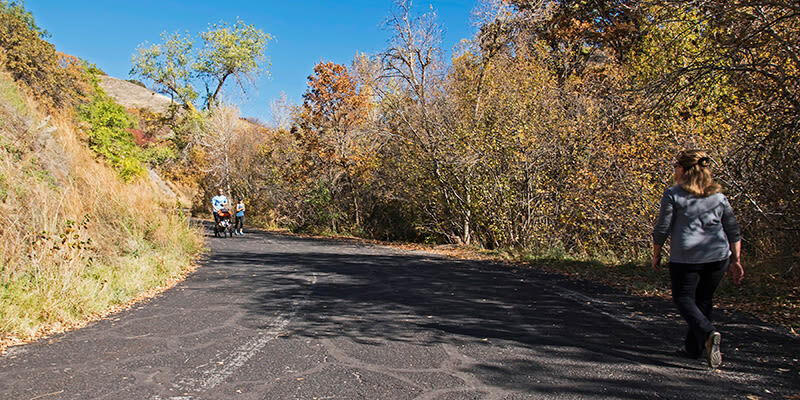 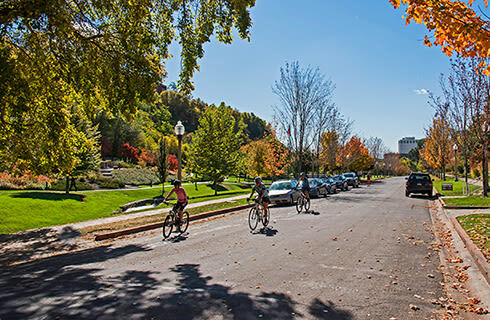 City Creek Canyon has a wonderful paved trail that allows people of all ages to access a bit of nature right in downtown Salt Lake City. 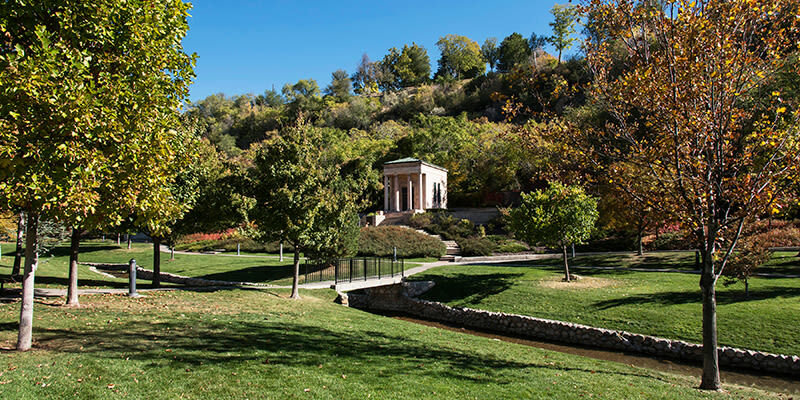 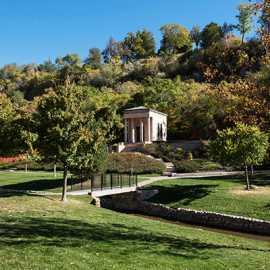 Starting at Memory Grove Park and heading north, the 1.2-mile path gently climbs alongside the meandering City Creek. 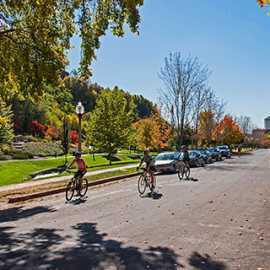 Walkers and bikers are allowed, and you can bring your leashed dogs on the paved path. 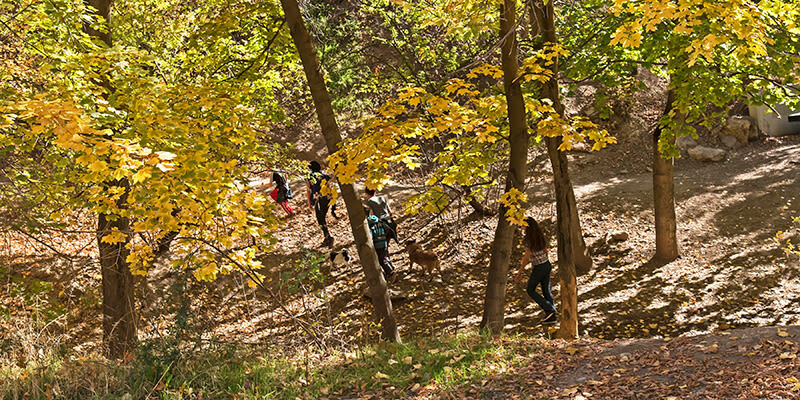 A small dirt path known as the Freedom Trail runs parallel to the paved path for a short while, and you may let the dogs off leash on this portion. 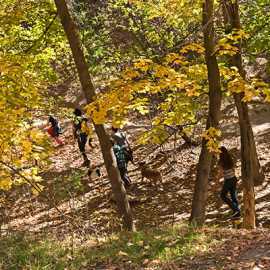 Feel free to let them jump in the creek since this is not a watershed area. 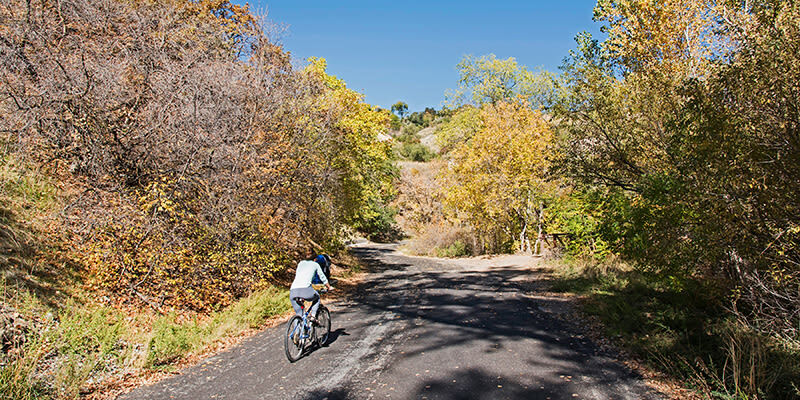 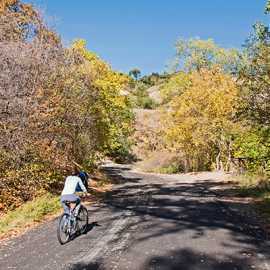 There is the possibility of extending your bike ride much further than the 1.2-mile trail within the lower canyon. 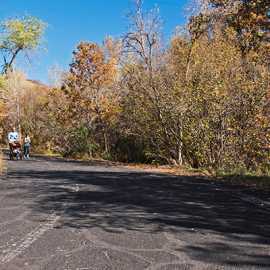 A 5.8-mile paved canyon maintenance road that is connected at the top of the trail is open to bike traffic on certain days days and to cars on others.